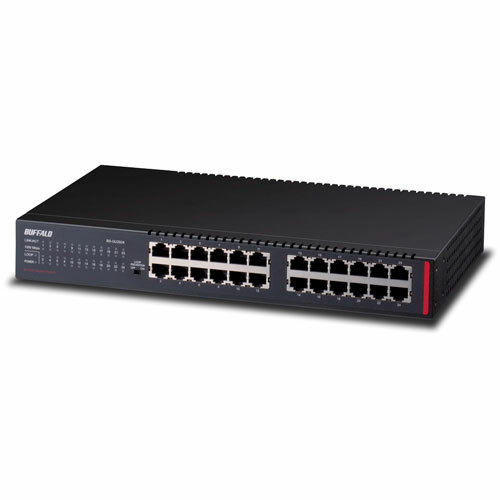 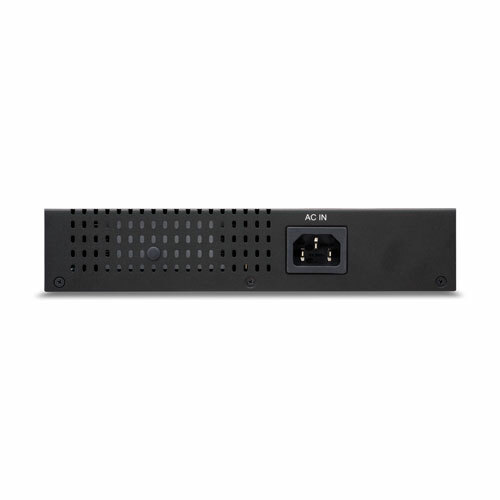 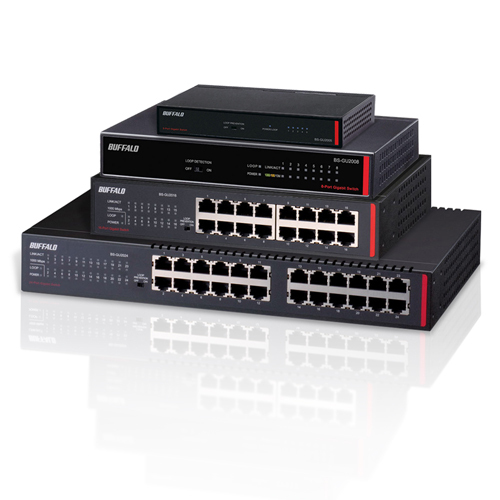 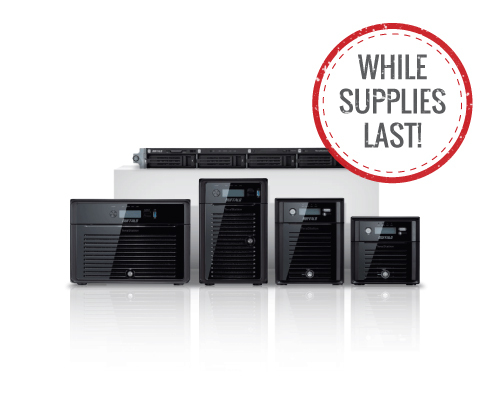 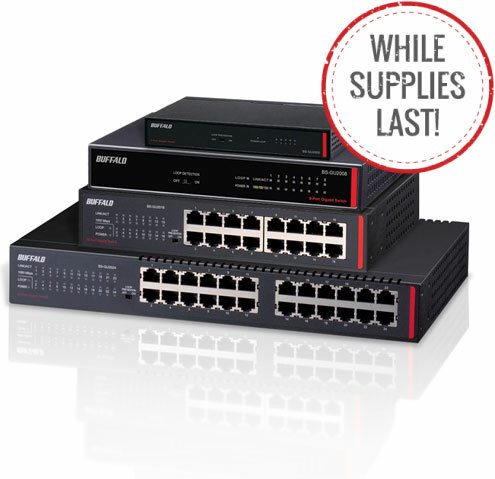 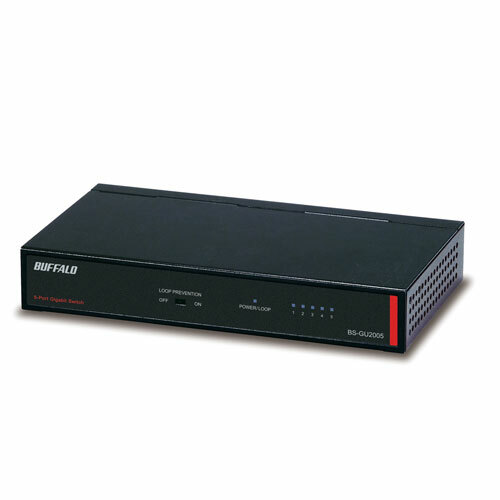 Buffalo's BS-GU Series of Gigabit Green Ethernet Switches offer an easy and cost-effective way to extend your business network at gigabit Ethernet speeds. 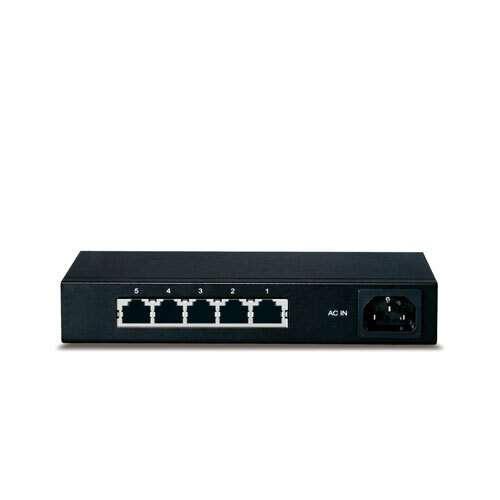 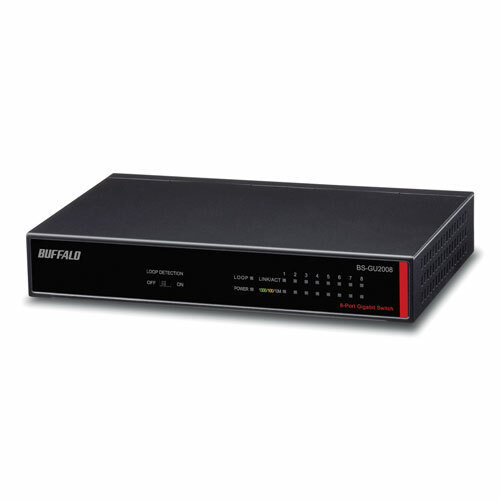 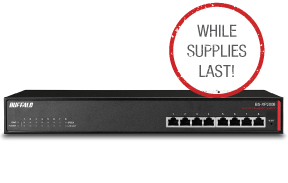 Buffalo's Gigabit Green Ethernet Switches come with either loop detection (BS-GU2005 & BS-GU2008 models) or loop prevention (BS-GU2016 & BS-GU2024 models). 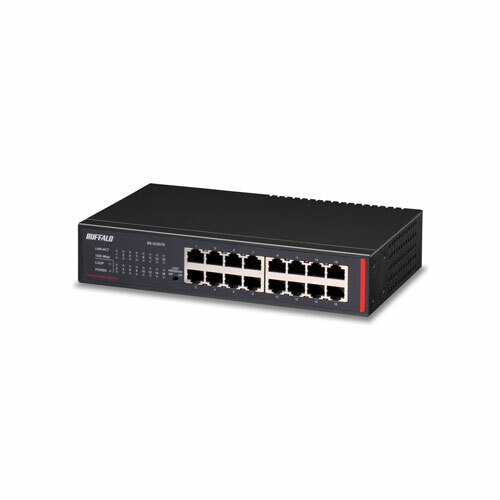 Loop detection will alert you of a loop in your network by lighting an LED on the front of the switch while loop prevention shuts down the port(s) where a network loop is detected.